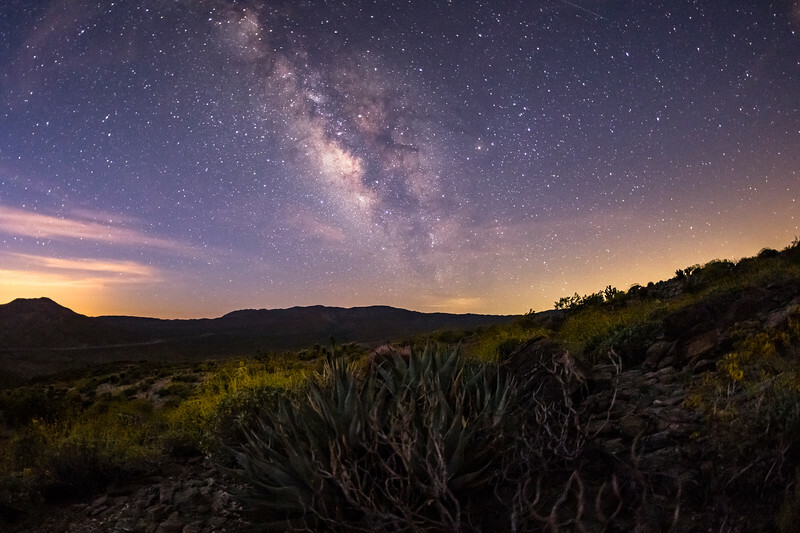 Milky Way Over a Hillside of Agave and Brittlebush at Twilight in the Anza-Borrego Desert. I shot this at 5:19 AM. There was just enough twilight from the rising sun to softly illuminate the landscape in the foreground while still being dark enough to not wash out the Milky Way. This is a single frame from one of many time lapse sequences shot during my recent trip to Anza-Borrego. Shot with a Canon 6D and Sigma 15mm lens at 25 sec f/2.8 ISO 3200.